+ This article comes directly from Soundfly’s brand new mentored online course, Songwriting for Producers. If you’re producing music at home, you need to check out this course to learn the techniques and strategies of pro songwriters, master an efficient and productive workflow, and bone up on how simple music theory can improve your storytelling arc. Free preview here. Lyrics and vocal melodies are perhaps the most crucial aspect of working in genres such as folk, rock, pop, and R&B. Lyrics provide a clear, unambiguous musical focal point in the song, and give the listener something to follow. In other genres like EDM and jazz, vocals aren’t a necessity, but frequently show up in one form or another. Regardless, lyrics give songs an extra level on which to be identified. If you’re an electronically trained home producer, you might not have a lot of experience writing lyrics — perhaps you’re more used to working with outside lyricists, singers, and topline melody writers. But in my online course, Songwriting for Producers, I’ve set out to give you the tools and strategies you need to become a profession, all-in-one producer, capable of churning out mega-hits without relying on collaboration to get you that extra mile. So, it’s time to bone up on some lyric-writing strategies once and for all! Let’s dive in. Writing lyrics is a form of storytelling, and writing “good” lyrics is a lifelong pursuit. Your personal catalog of themes, styles, references, and influences will continue to develop throughout your whole life and career. Lyrics are similar to poetry, but are intended to be sung rather than spoken or read. Because of this, we can learn not just from other lyricists, but also from writers and poets. Everyone has their own tastes, so it’s difficult to pin down what makes some lyrics better than others — but still, there are many lyricists who are widely regarded as particularly masterful. A good starting place is to identify our personal favorites, study their work closely, and focus on developing our own skills. Because I’m personally so influenced by Nick Cave and Leonard Cohen, I’ve spent a lot of time reading poets like Sappho, Auden, Berryman, and T.S. Eliot, and listening to Jewish and Christian liturgical music, which were all major influences on them. Cohen’s “Suzanne” oozes with classical, religiously steeped references. That’s not to say that your writing will automatically sound better overnight as a result of opening a book by one of the greats, but so much of songwriting is about “borrowing.” Whether that’s taking a direct phrase and setting it to a new context, or borrowing some syntax and ideas to open up new pathways for approaching a song, having an influential reference provides a great place to start. Speaking of research, since artists love to talk about themselves, it’s often quite easy to find out who influenced your favorite singers! A quick search will often turn up a comprehensive list. For example: if you’re particularly into Bob Dylan, you might benefit from reading Ginsberg, Rimbaud, and Kerouac, or listening to Woody Guthrie. Another great example is Rage Against The Machine’s “Testify,” which references The Party’s slogan from George Orwell’s 1984.
Who controls the past (now), controls the future. Who controls the present (now), controls the past. Fundamentally, the more you study other artists, the more you’ll develop your own taste and palette. No one can explain how good lyrics work, but over time you’ll develop a deep, intuitive sense to guide your writing. Although there are countless ways to write lyrics, here are a few places you might want to start. Freewriting is the act of nonstop writing for a predetermined amount of time without concern for grammar, quality, or any other regulations. Initially, this can look like some serious word-vomit, but if you keep going, you’ll often find yourself coming up with interesting ideas, or finding momentum on specific topics. Much like stretching before exercising, this process can kick-start your creativity and help you overcome any feelings of self-criticism. Rather than starting by writing lyrics, try exploring different themes and topics through reading, writing, visual art, or anything else that inspires you. Keep a notebook with you at all times. The more you explore art, the more frequently ideas will come to you, and if you don’t write them down, you’ll likely forget. That way, when you start writing lyrics, you can first look at your list of ideas to see if there’s something interesting to start with. A prolific Nashville songwriter (who shall remain nameless) has a strategy where he wakes up and writes down five ideas, lines, or thoughts in his journal. In the sessions he goes to that day, he’ll pull from that list and use the words as the first line of the song, the last line of the song, the first line of the chorus — it could even just be a word. The point is, the words he writes down are often fresh to him, but they also came up for a reason — something he’s dealing with, or something a friend is going through — and he’s able to use that idea as a target for that day’s sessions. If you have an existing instrumental and want to come up with a strong melody, try improvising and experimenting while singing nonsense words. This can help you ignore lyrics entirely to focus on the melody and rhythm of the words. From there, it’ll be easy to write in lyrics to fit the rhythm. This is actually a really common method for tons of artists and topliners. There’s a great “making of” video on YouTube of Jon Bellion and how he developed the songs and lyrics for some of his songs on his record, The Human Condition. Take a hymn or other traditional melody you’re familiar with, and try writing lyrics to fit the existing phrase. If you know it well, you’ll be able to try different ideas without needing any music playing in the background. This is a great method if you do your best thinking in the shower or while walking, for example. We briefly mentioned “Suzanne” by Leonard Cohen earlier. Aside from the religious references, it was also originally a poem Cohen wrote and published before the song was ever recorded. Try writing a poem purely on pen and paper, without worrying about melody or rhythm at all. Once you’ve got a solid draft, try setting it to music. Ultimately, you might need to be inventive or make some changes to make everything flow nicely, but this can produce good results. Will Marshall is the instructor for Soundfly’s Songwriting for Producers course. 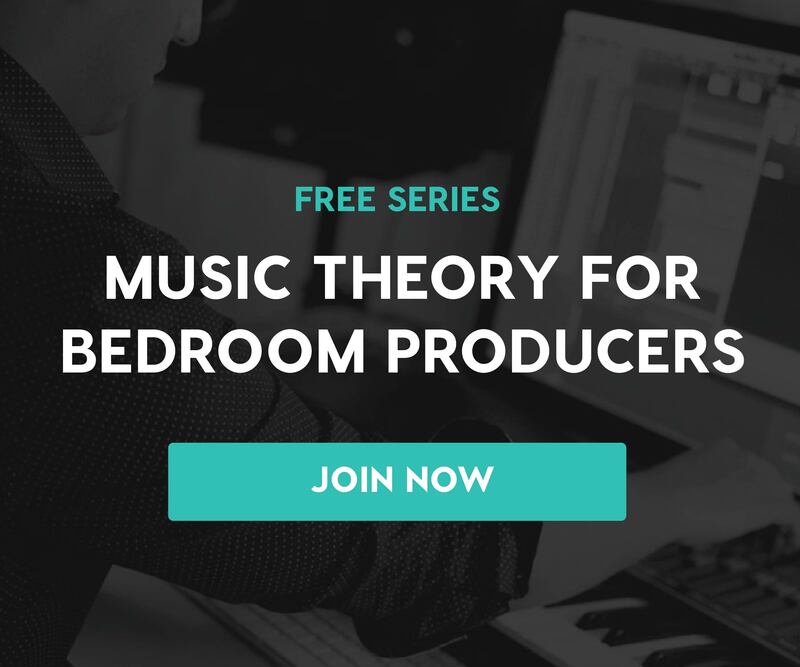 Preview the course for free here to see if it’s a fit for you, or let us know your musical goals and we’ll pair you with a personal mentor directly who can help you reach them! Will Marshall is a singer, composer, producer, pianist, synthesist, engineer and educator. Will has engineered for artists such as Oscar-nominated film composer Nicholas Britell, Grammy-nominated jazz musician Patrick Gleeson, R&B singer Vudajé, experimental composer Augur Duende, and electronic acts Ill Gates, Freq Nasty and the Fungineers. He is currently consulting mix engineer and producer for Sennie Records in San José. As an educator, Will taught at Pyramind in San Francisco from 2015-2018 and is a well-known authority in the creative applications of music technology. He has written and directed several in-depth educational video series, taught numerous workshops, and accepts occasional private students.